The Starter Acceleration Program will have modules in three regions and the final one will take place at the Web Summit in Lisbon. EDP will bring together in a single global program, the various startup acceleration tools it currently has available in the countries where it is present. The Starter Acceleration Program is looking for startups from all countries that are linked to the energy sector, and applications are open starting today and during the next six weeks. The program will feature L Marks and Ace, experts in innovation and entrepreneurship projects that have a global presence. Based on the success of the innovation programs that EDP has developed over the years in the countries where it’s present (EDP Open Innovation and EDP Starter Spain and Brazil), the group decided to join a global program that searches for startups with innovative technologies that can be adapted to the company’s business. EDP is looking for startups from around the world and, with this in mind, the new program will have modules in three regions- Europe (in Madrid, Spain), South America (in São Paulo, Brazil) and North America (in Houston, USA) – where EDP already has a strong presence and recognized experience in the area of innovation. After an intensive work phase with EDP in which these teams will develop projects adaptable to the company, the startups with the highest potential for participating in the final stage will be selected. The final will be held in Lisbon in November during the Web Summit. Those chosen will have their own space at the largest innovation and entrepreneurship summit in Europe to showcase their products and look for business opportunities. In line with EDP’s strategic areas, the Starter Acceleration Program is looking for projects in seven categories: clean energy, customer solutions, data analysis, energy storage, smart grids, access to energy and innovative internal processes. During the program, the startups will also have access to various sources of assistance and benefits such as advice from experts in innovation, marketing, etc. “We could not be more pleased with this evolution from the various startup acceleration programs to a truly global initiative that sets our quality benchmark even higher. We believe this is the right path in our search for new business models and services that can be adopted by the businesses that we have in 16 countries,” Carla Pimenta, director of entrepreneurship support at EDP, said. The first module of the program will take place in Madrid in June, followed by a second one in São Paulo in July and a third in September in Houston. 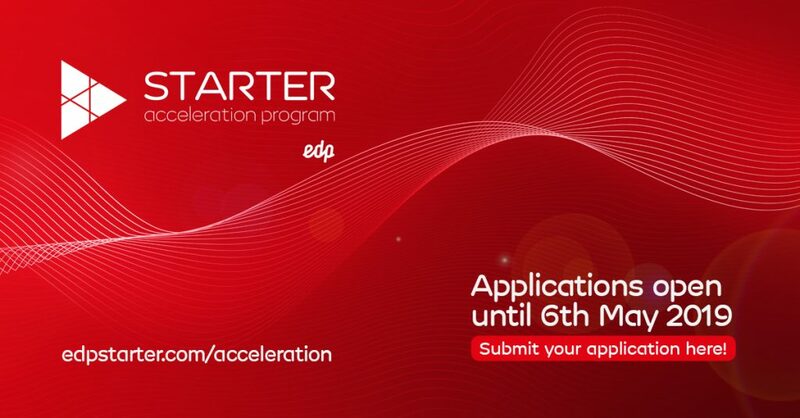 Applications are open until May 6 and can be filled out at edpstarter.com/acceleration.